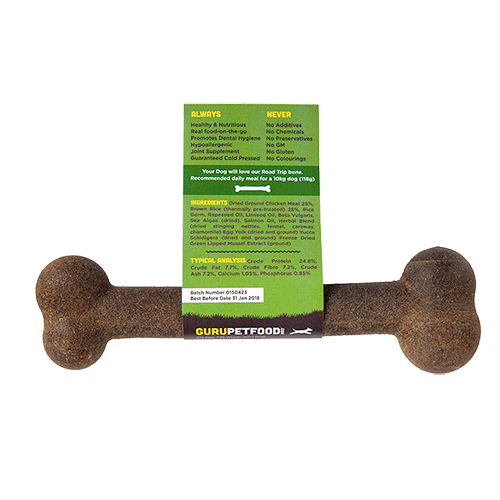 This tasty dog bone is full of flavour using chicken and a variety of natural ingredients to ensure your dog stays happy and healthy. It’s perfect for dogs that are larger than life, and for smaller mouths why not try our small and tasty chicken bones? Treat your four legged friend after a walk or just because you can! 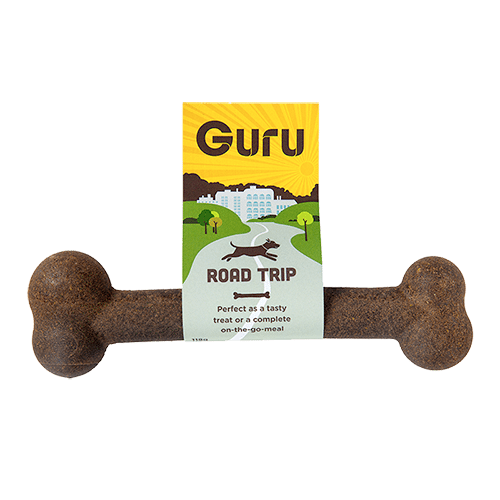 Whenever you like to treat your dog, choose Guru Pet Food to make their day.